If you are worried about to perform full wheel pose, then attempt Ardha Chakrasana in place of performing Chakrasana. Half wheel Pose is simple and easy to perform Asana. Ardha Chakrasana is helpful for those who are not comfortable with Full Wheel Pose (Chakrasana). First, try half wheel Pose and once you’ll get enough flexibility on your back then go for Chakrasana. Ardha Chakrasana is easy to do Pose but it gives you lots of benefits. So let’s start step by step. Before we start, you can perform Half Wheel Pose in two different ways. 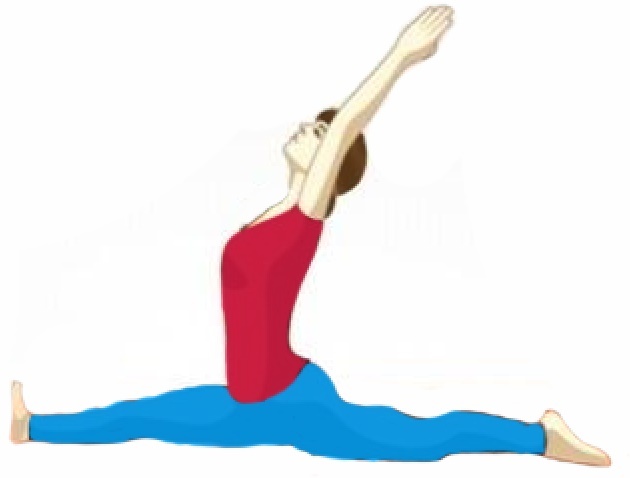 Especially for you, we’ll mention Ardha Chakrasana general steps and its variation steps. First, come into the position of Mountain/Palm tree Pose (Tadasana). 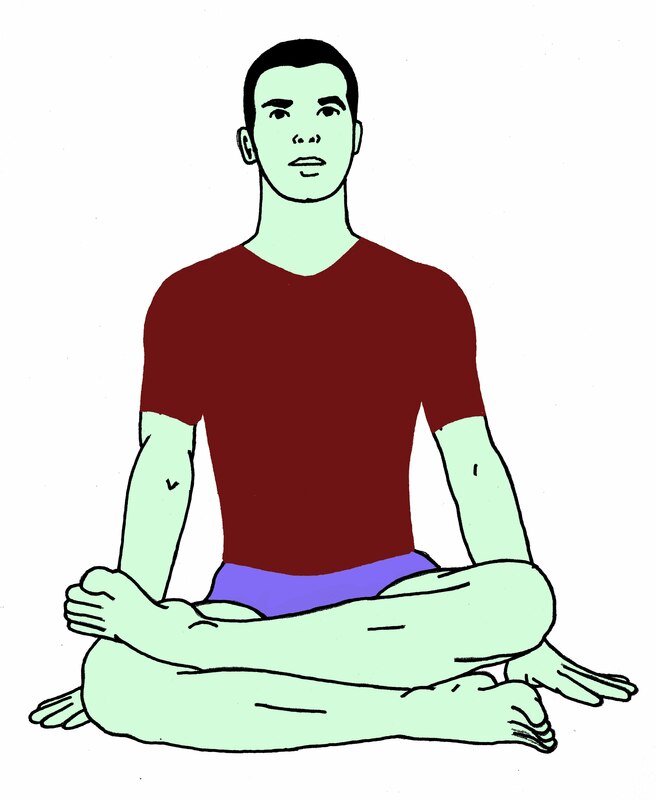 Perform Tadasana by raising your hands while you’re inhaling. Attempt Tadasana for 2 to 3 times. After performing Mountain Pose, just place your both hands on the back side of your hips. 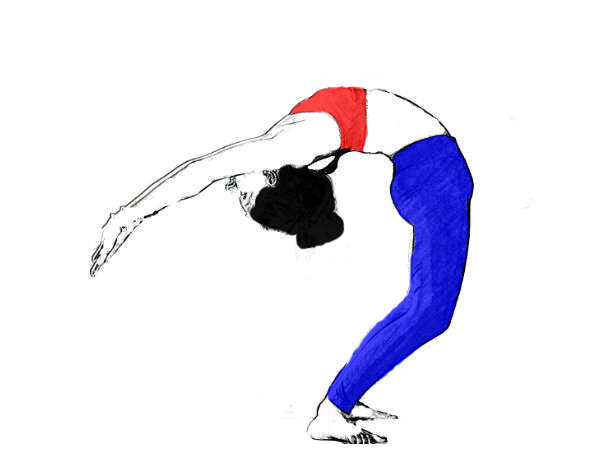 Breathe in and try to slowly backbend your upper body (bend as much as you can). Remember one most important thing is that, don’t bend your knees. Try to keep your knees straight for the first time you can bend your knee little bit for your convenience. You may also hold your waist for better support instead of holding your hips. Now you are in the final stage of Ardha Chakrasana (half Wheel Pose). At that time hold your breath and hang on in the position for 30 to 60 seconds. After that, breathe out along with slowly – slowly come back to your initial position (standing pose). Imitate the same process for 3 to 5 times or as long as you can (keep in your mind during backbend you’ve to inhale and hold your breath. Breathe out when you are discharging the pose. Don’t break the breathing sequence). First stand straight and perform Tadasana for 2 or 3 times. After that, relax for a few seconds. Next, breathe in and lift your hands up & bend in a backward direction with your hands. Put your biceps part close to your ears. You can also clasp your palms in Namaskar position. Bend your body as much as you can, with raising hands towards the back is a little bit difficult. Hang on to the final position. Breathe out and get into the starting position. (Interesting fact is the second style also taking place while you’re performing Surya Namaskar. 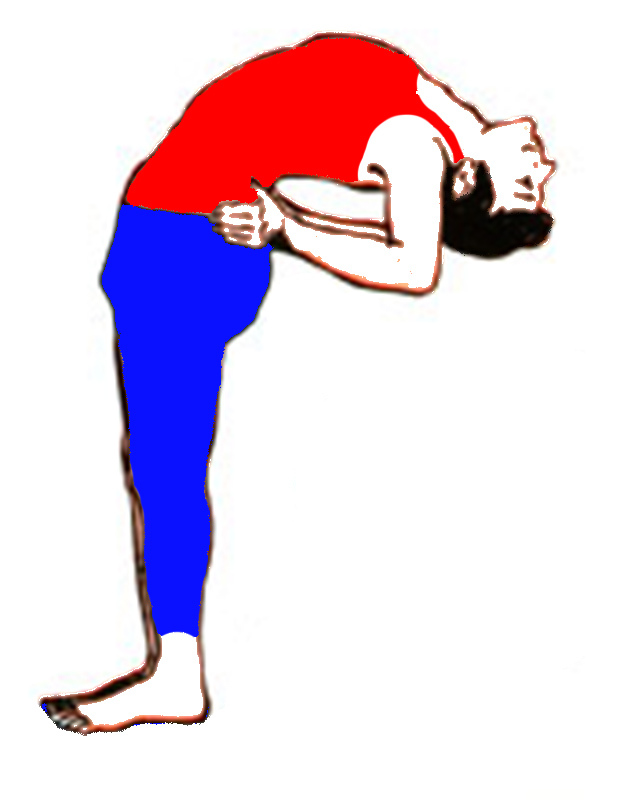 In Surya Namaskar the second pose is exactly the variation of Ardha Chakrasana. So, it helps you in the practice of Sun Salutation Pose). Somewhere, if you are not comfortable with the second style then continue with the first style. Once you got some good flexibility in your back then, go for the second style. Ardha Chakrasana makes your back muscles & spine more flexible. Half Wheel Pose tones your shoulders, waist, arms as well as your thighs also. It gently massages your intestine along with stretches your abdomen organs, stomach. 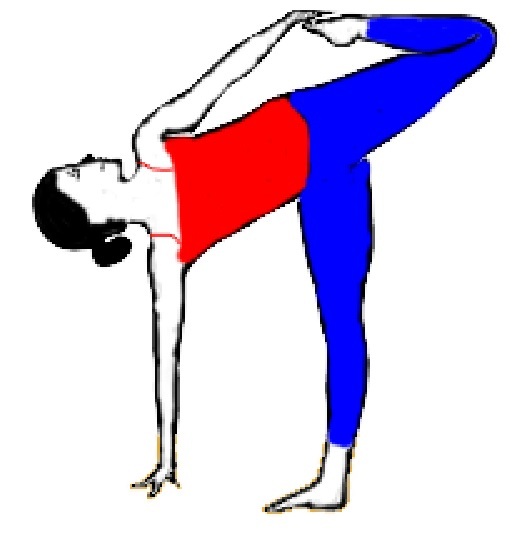 Ardha Chakrasana is best & simplest Asana for reducing belly and your thighs fat. Beneficial in mild back pain and kicks out pain from your shoulders & Neck also. While you’re performing Half Wheel pose your chest is stretching by this it improves your lungs capacity. Best for the diseases related to respiratory. Balances your blood pressure also. 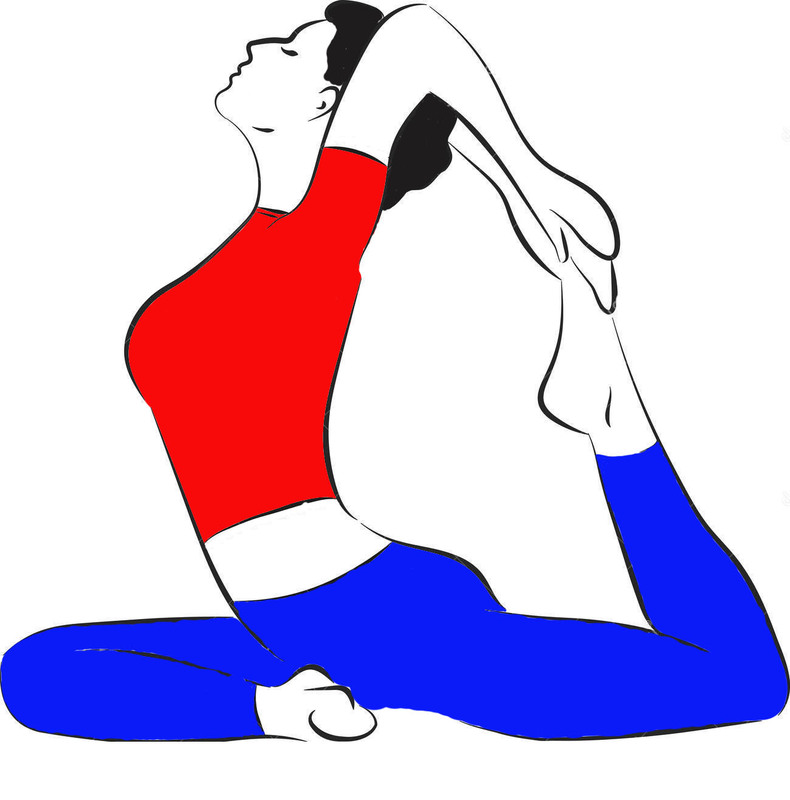 Ardha Chakrasana cures menstrual related issues. In the neck, spinal or hip injury avoid Half Wheel Pose. Those people who have Vertigo be very cautious during Practice. Patients of very high B.P. should not attempt Half Wheel Pose. Those poses, which puts any type of strain on Foetus should not be performed by pregnant women. Your comment work as a catalyst for us so doesn’t forget to share and comments. If you have any suggestions then we are always welcome you and appreciate your idea. Thanks for the full information about Half Wheel pose How to do step by step and benefits. @Elly, Good to see your comment. Thanks for your appreciation, this will work as a catalyst for us & motivate to do more hard work.